Lobster can be seasoned to fit any theme or time of year. 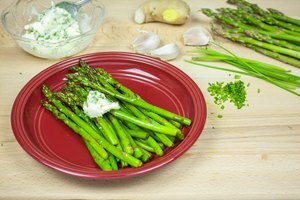 Lobster in the summer or spring is best grilled with lighter flavors. Lobster in the fall or winter may be broiled and sprinkled with Cajun seasoning or lemon pepper. 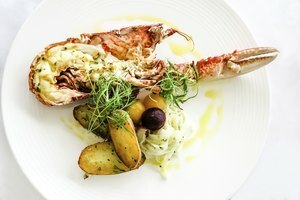 Steamed lobster is good anytime of the year and has many possibilities for seasoning. 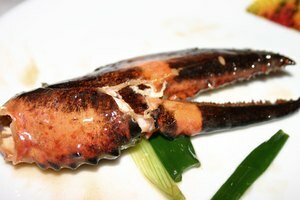 Steamed lobster can be seasoned through the water that it is cooked in, and with a sprinkle of dry seasoning after steaming. Clarified butter accents lobster well, served on the side for dipping, no matter how you cook it. Clean and prepare the lobster. If you are making lobster tails the flavor and moisture will be best preserved if you crack the top of the tail and leave the meat in the shell only exposed on the top. 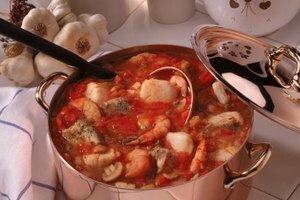 Season your lobster Cajun style by mixing 1 tsp. each of salt, black pepper, cayenne pepper, paprika and dried oregano with 1/2 cup of softened butter. Rub this seasoned butter on the inside of the lobster shell to be absorbed into the meat as it cooks. Season your lobster with lemon pepper by mixing 3 tbsp. of pre-blended lemon pepper seasoning into 1/2 cup of softened butter. Rub this seasoned butter on the inside of the lobster shell to be absorbed into the meat as it cooks. Serve your lobster with clarified butter seasoned with 1 tsp. lemon juice per cup of butter for dipping while you eat. Clean and prepare the lobster. Steamed lobster, if whole or just the tail, should be kept in the shell completely until it is finished cooking. Season the water with salt and white pepper. For added flavor make a blend of equal parts of salt, dried oregano, paprika, cayenne pepper and black ground pepper. Add half of this to the water and reserve the rest for seasoning after cooking. 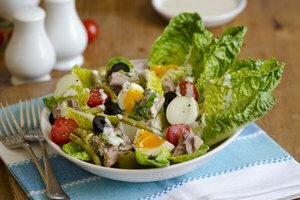 For a lighter, less spicy flavor, season the water with lemon by adding 2 tbsp. of lemon juice per quart of water. Serve the lobster with a side of clarified butter once steamed. The clarified butter can be seasoned with the Cajun seasoning by mixing 1 tsp. per cup of butter or with lemon juice by adding 1 tsp. per 1/2 cup of butter. When steaming lobster tails, it is easiest to remove the meat after cooking if you stick a wooden skewer lengthwise into the tail, which you can pull out with the tail meat after it is cooked. Steam lobster for 12 minutes for the first pound and add a minute for each additional quarter pound. Make sure the lobster is completely submerged in the water. If you are using frozen lobster, do not thaw it first. It will retain more flavor. 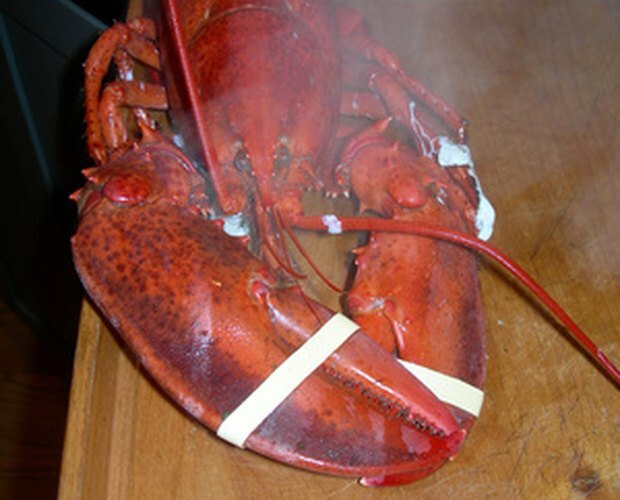 If you are steaming whole lobsters, do not remove the rubber bands from the claws until they are dead. A lobster claw is strong enough to break a human finger.